Is there anyone left in Scotland who doesn’t know Nicola Sturgeon has made education her top priority for this parliamentary term? The message has been delivered, loud and clear, many times. The First Minister acknowledged some time ago that opposition parties were hitting home with their attacks on the Scottish Government’s record on education, and boldly staked her personal reputation on improving her government’s performance in this area by closing the attainment gap between the haves and the have-nots. Her most significant move so far has been to move her top performer, John Swinney, to the education brief. Ms Sturgeon is making the right noises, but this will not be enough to silence her critics. This week, she has been accused by political opponents of having no significant strategy to back up her stated intentions. If she has a case to answer on this front, it is also true that Mr Swinney cannot be expected to have produced a blueprint for transformation in the two weeks since his new brief was announced. As we report today, the attainment gap in education is mirrored by the access gap at the point of tertiary education, with young people from the wealthiest parts of the country four times more likely to go to university than their peers from the most deprived areas. Part of the reason for this is because the attainment gap means that those from less privileged backgrounds simply do not achieve the high school grades to obtain a university place. But there are other factors to consider, highlighted in a report published today by educational charity the Sutton Trust. The policy of capped places is one of the key issues under scrutiny. Free tuition offered to Scottish-resident students – capped at the level of government funding – had to be extended to students from EU countries outside the UK, with the consequence that demand for places is high as students from those EU countries see Scotland as an attractive option. As a result, assistance the Government gives to Scottish students can be counter-productive. While it is to be expected the Scottish Government will be attacked on the capping issue by opposition parties, the policy’s downside is also highlighted by education bodies. As a spokesman for Universities Scotland said: “What is clear from the Sutton Trust’s analysis is that England’s policy of uncapped places has made it easier to get into university and this has helped access. This blunt assessment leaves Ms Sturgeon and Mr Swinney with much to consider. Scotland’s education problems are not simply about improving the grades of those who are currently at a disadvantage. If Mr Swinney’s mission is to be successful – and he faces a tall order that would put any politician to the test – he will have to take a close look at the verdict of Universities Scotland, and ask himself if Scotland’s cap on university places is doing more harm than good. While on the surface the facts do not paint a particularly flattering picture for Police Scotland – that it failed to attract single application from a woman for two senior jobs currently up for grabs at the organisation – it is not a problem peculiar to the law enforcement sector. 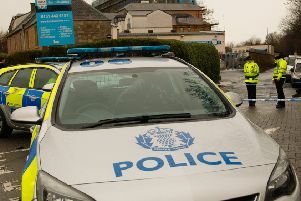 The people currently holding the two assistant chief constable roles are female, which serves to demonstrate that Police Scotland is not averse to appointing women. Indeed, the problem faced by the organisation is the same issue faced by any corporation or public body – that of making it accessible for women to want to work in senior roles. It is a fact that women are more likely to want to work part time or take time out of their careers – usually to look after children, although new paternity laws are, ever so slowly, making progress here. Because of that, female workers are less likely to feel they are qualified for high level positions. It is also common that senior jobs are more likely to be demanding on time. While this should not be a singularly female problem – with fathers as loathe to miss out on their children’s upbringing as mothers – women often admit they find it less socially acceptable to be away from their children or working long hours in the office than their male counterparts. Indeed, it would be interesting to know what proportion of men in senior roles are parents themselves. A single solution to the problem is not easy, but organisations generally should do what they can to encourage women – especially those who have perhaps not worked in a professional capacity for the same number of years as their male rivals due to career breaks – to put themselves forward for senior jobs.